The national inquiry into MMIWG began seven months ago, but critics argue it's moving too slowly. This special edition of The Current is a public forum held at the Museum of History in Gatineau, Que., across the river from Parliament Hill. The forum explored the work of the national inquiry into MMIWG and connected that to the larger project of reconciliation. ​WATCH The Current's five-minute virtual reality documentary about the Highway of Tears. The first interim report from the nation inquiry into missing and murdered Indigenous women and girls is due this November — with a final report due one year later — despite the fact that there have been no hearings yet, and some family members say there hasn't been enough communication. 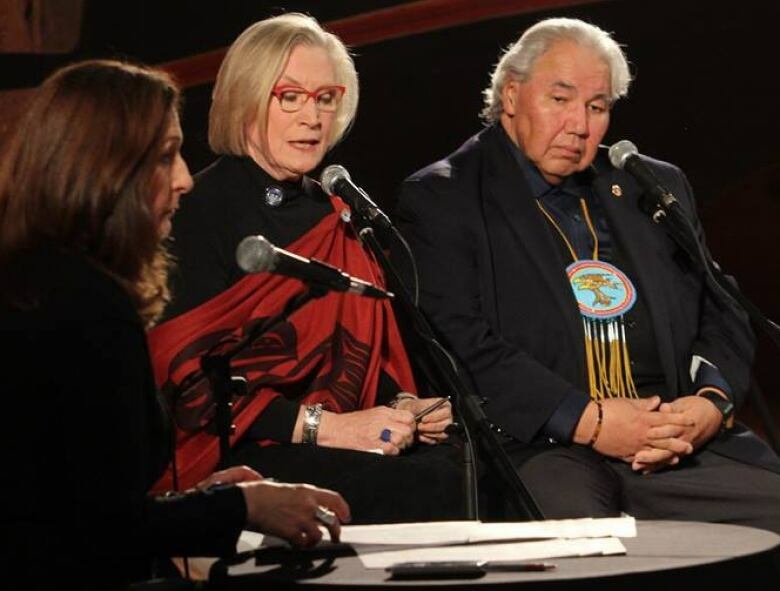 Canada's Minister of Indigenous and Northern Affairs Carolyn Bennett is facing pressure to deliver on the promises made by the Liberal government when it launched the inquiry shortly after coming to power in 2015. "I have every confidence," Bennett tells The Current's Anna Maria Tremonti on meeting the inquiry timeline. "This amazing group of commissioners now have the tools, they have the resources, they're hiring great people." Bennett says she understands where the cynicism comes from but says "no one wants this report to be put on a shelf — including the prime minister ... this is a serious undertaking." Ten years ago, Bennett recalls speaking to families of victims about the needs of those affected by the issue of missing and murdered Indigenous women and girls. "When we first met with the families, they wanted three things. They wanted justice, they wanted support for the families, they wanted things put in place to prevent it happening to any other family." But Bennett adds there is also space outside the commission to take action on other problems like housing, sexism and racism in policing and violence against women. And she says that work needs to happen immediately. "We have to do things right now and can't wait for the commission." 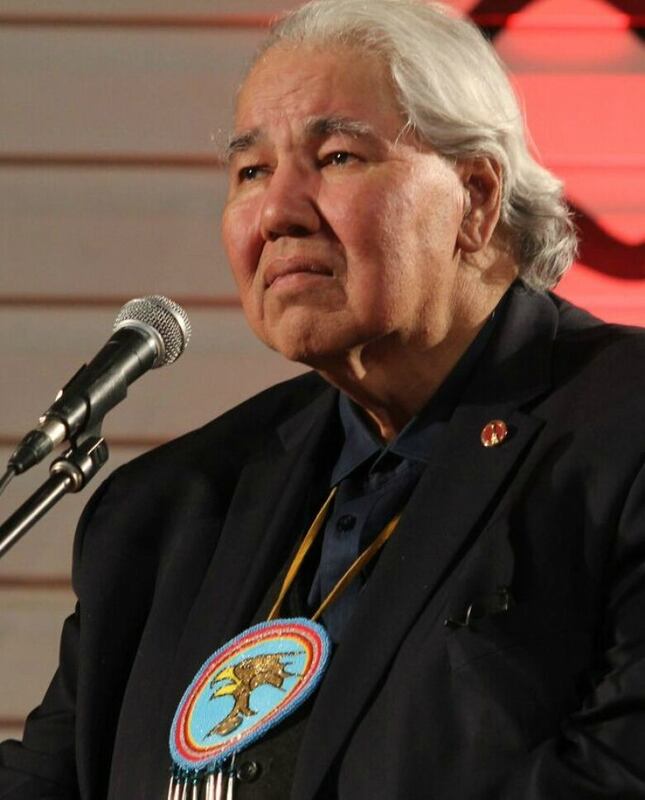 Senator Murray Sinclair, former chair of the Truth and Reconciliation Commission, called for the inquiry to be launched. He's in a unique position to give advice about how best to manage a national commission. He tells Tremonti that concerns about the timing and progress of the inquiry are legitimate. "There's no question that given the amount of time that this issue has been under public discussion, the families... and the general public as well expected things to move more quickly." Sinclair is confident staff have done all they can, but says they will need to acknowledge and address the delay. His advice for the commissioners: sit down and set out for themselves those questions they feel need to be answered by the inquiry. "Those families that have lost women to violence ... need to have some answers." Sinclair says Canada must never forget what it once did to its vulnerable people. "No one should ever lose a child. No parent should ever lose a daughter. And these families are hurting," says Sinclair. "The Canadian public, I think, should feel like they are hurting as well." This event is part of a series of public forums hosted by The Current across the country to explore the issue of missing and murdered Indigenous women. The Ottawa/Gatineau MMIW public forum was produced by The Current's Josh Bloch, Kristin Nelson and Kathleen Goldhar. Videos by Ruby Buiza.